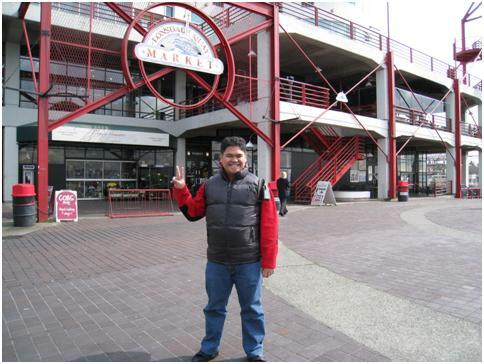 Before taking the bus going up to Grouse Mountain, Anna and I grabbed some lunch at Lonsdale Quay Market. 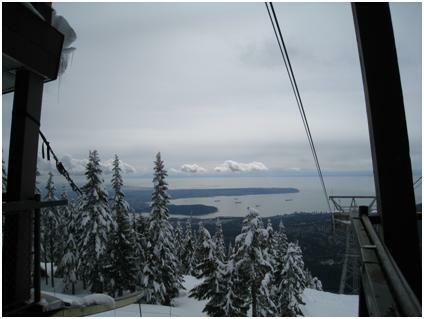 While taking our lunch, Anna told me that she has a surprise for me up the Grouse Mountain. Ice Skating for a Chester that has been traumatized of his ice skating experience in SM Southmall x-years ago. 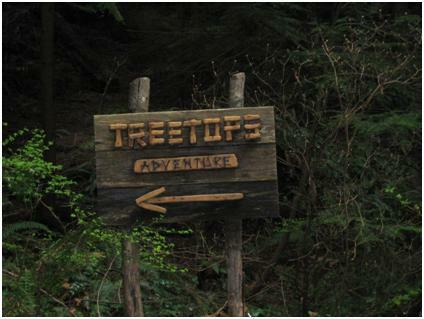 I really don't know what it is and I tried recalling from memory what I saw in the Grouse Mountain website but nothing appears to be a surprise. 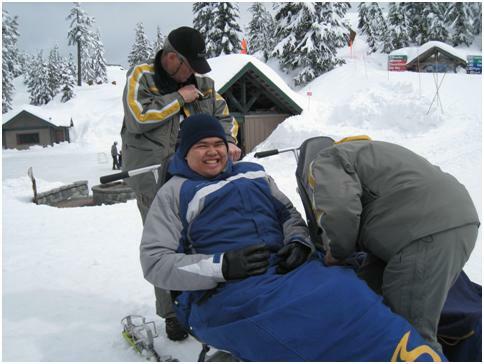 Previously we did Snow Tubing but what would be special in Grouse Mountain. 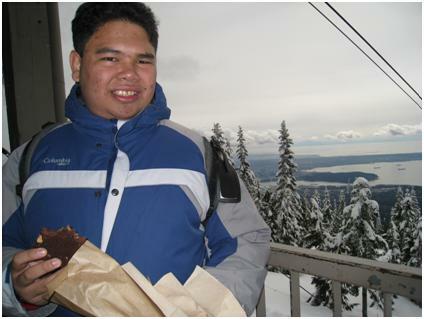 Upon arriving at the top of Grouse Mountain, Anna went inside the lodge and I stayed outside waiting what will happen next, little that I know that it is just actually behind my back. She told me that the "Sno-Limo" is the surprise and out of joy I didn't know what to say (still thinking what will happen next, nervous). 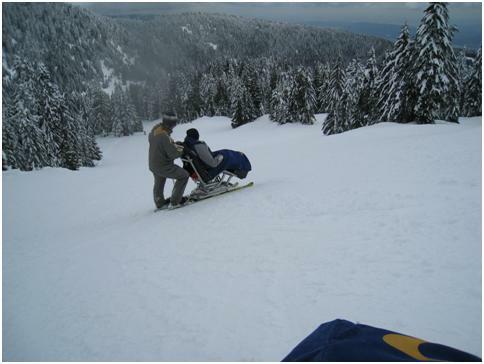 They say that the Sno-Limo is the best and only way for non-skiers and snowboarders to glide along snow-covered mountain trails. In short it is the only way for me and Anna, both non-skiers to actually experience skiing. So what happens in the "Sno-Limo"? 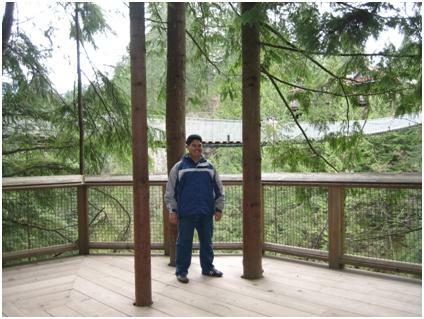 First they will place you to the contraption pictured above for your comfort and safety. Look the blanket matches the color of my jacket, just great! It is a special contraption that seems like a chair attached to a pair of skis. After that the fun begins! Look at that just perfect, even if you are not a skier you can actually experience going down the slopes and feel the adrenaline rush. 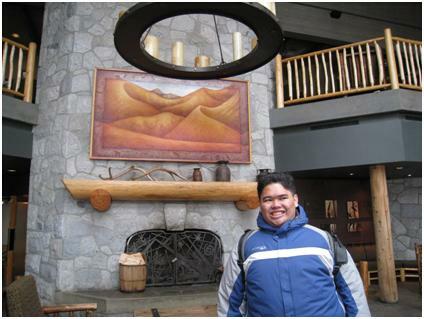 This experience made my trip abroad the most memorable one; I didn't expect that I would experience skiing without actually skiing. 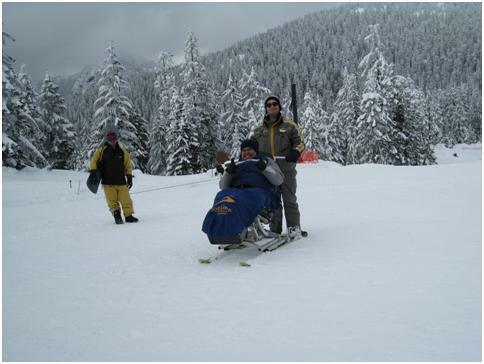 This activity is just perfect and I would recommend this to everyone who wants to experience the snowy slopes without actually skiing. 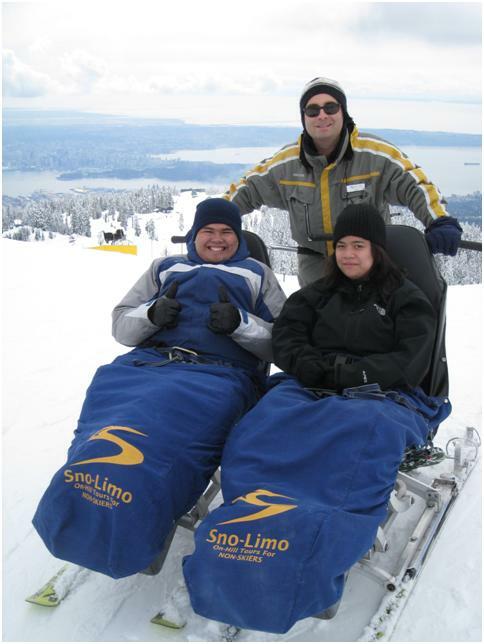 Aside from the activity the chauffeurs of the Sno-Limo are just great friendly people. In short people should really spend time to try this one. For more information please visit: http://www.sno-limo.com. 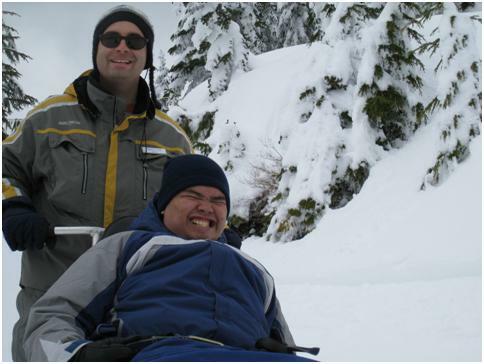 We recommend that prior your planned trip to a destination that features the Sno-Limo that you make a reservation. There are times that the Sno-Limo is fully booked. This is not a paid advertisement, I just love what I experienced with Sno-Limo and wanted to share and recommend it to you. Looking for the nearest snow getaway (or do you want to see Snow up-close in spring?) 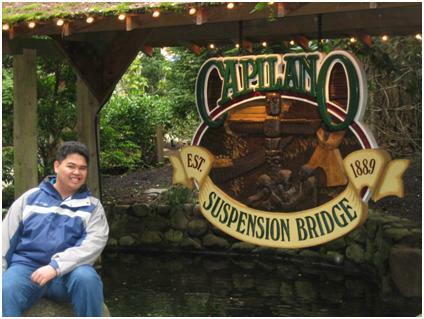 this attraction is the one for you. 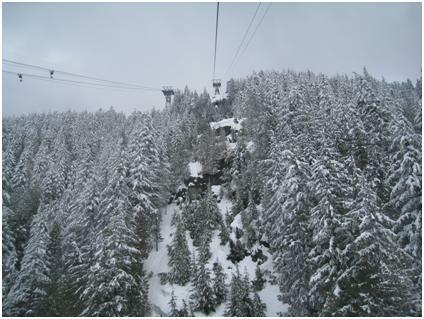 Grouse Mountain is located around fifteen minutes from downtown Vancouver by car and around the same time if you are using the public transportation. This must be the nearest and nicest snow getaway from the city centre itself. If you plan to use the Public Transportation going to Grouse Mountain from any point in Vancouver you must take the SkyTrain to the Waterfront Terminus Station then transfer to the SeaBus which will bring you to Lonsdale Quay in which from there you must take the Bus 236 going to Grouse Mountain. 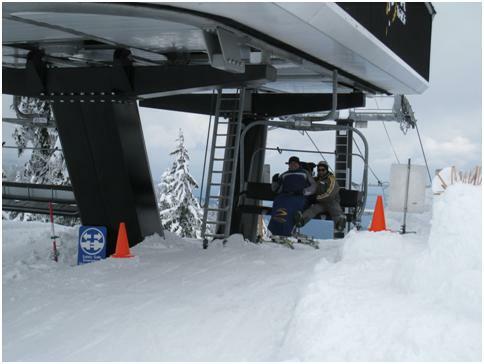 Upon arriving at the base, you will have to fall in line to get lift tickets and subsequently get to the Skyride (as pictured below) which will bring you to the top of Grouse Mountain. 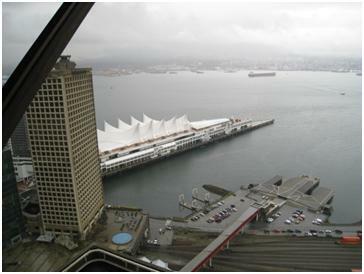 At the Skyride you will see magnificent views of Vancouver City as well as the surrounding areas so be sure that when you take the Skyride that you get the window area. 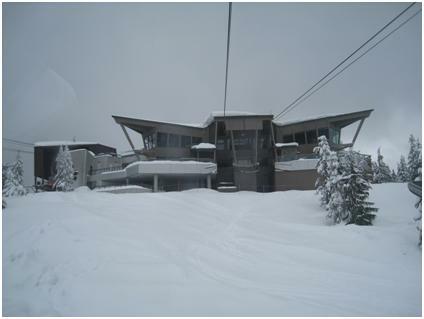 The first thing that will greet you once you get to the peak is the nice and cozy lodge, but unlike the one they have in Whistler Mountain, this one is smaller. 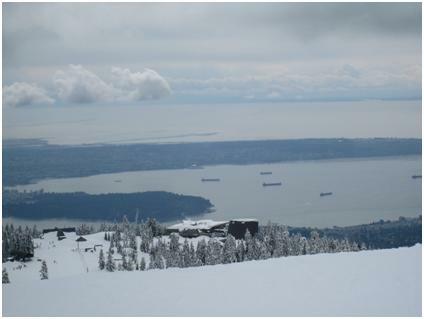 The nice thing about Grouse Mountain is that there are many activities included in the general admission which could be enjoyed by skiers and non-skiers alike (well at least if you know how to skate, just joking), but more than that what caught my attention is the magnificent view of Vancouver City from above. Before we left, we got the chance to try the brownies from the cafeteria and it is so good! 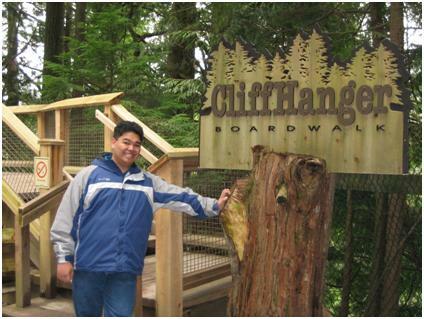 You have to try them when you are in Grouse Mountain. 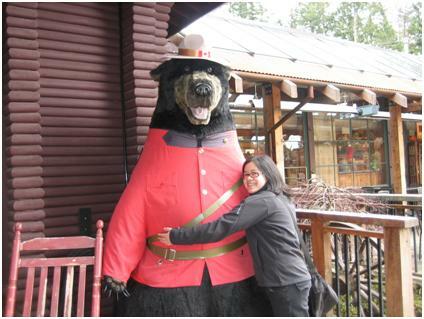 So what activity did I get to do in Grouse Mountain? 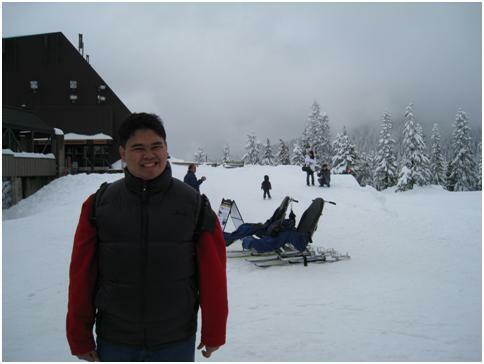 If I did Snow Tubing in Whistler-Blackcomb what then is its equivalent in Grouse Mountain. I'll be blogging about it shortly. Sometimes, a drive-by (or even a walk-by) the city is not enough for us to appreciate it. 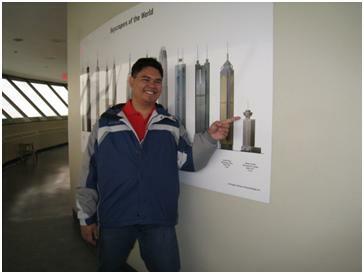 If you are in Vancouver and you wanted to see a three hundred sixty degree and bird's eye-view of the city you should go to the Vancouver Lookout at the Harbor Centre. 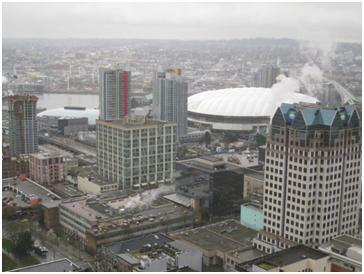 The Vancouver Lookout at the Harbor Centre is walking distance from Gastown and Canada Place. 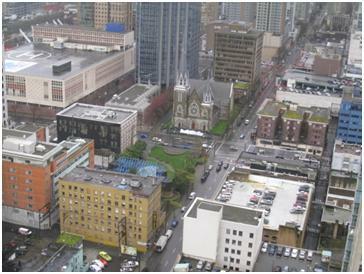 It is located at 555 West Hastings Street, but given the picture, I am very sure that you will find it. Tickets cost about $13.00 for adults, but if you are a student and you have an ID with you, your ticket will just cost you around $9.00. 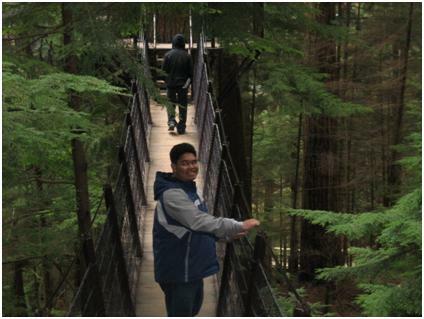 The best thing is that if you purchased your ticket in the morning, you can use the exact same ticket to go after sunset to see Vancouver city at night. 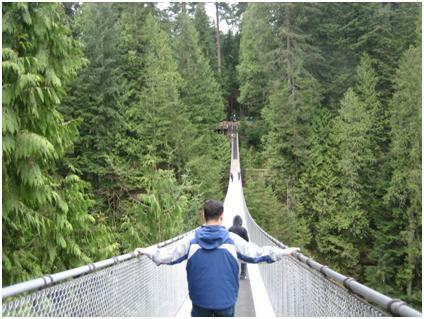 The best time to go to the Vancouver Lookout is during a day where there are clear skies but unfortunately, for us, we got there at a time where the views such as the beautiful mountains were covered by clouds; however, you can still see some spectacular views of the city and its popular landmarks. 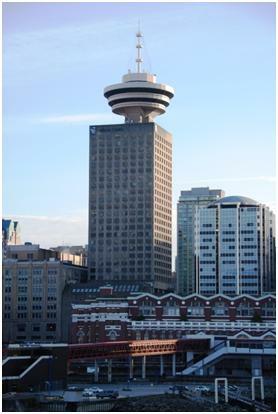 If you are going for sightseeing in Vancouver Lookout, you may also want to take note of the signs like the one below that identifies and describes interesting landmarks that can be seen from that view. 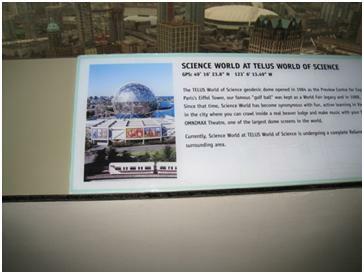 This now brings me to the next landmark, the Science World at Telus World of Science. Science World as locals would call is one of the two remaining structures left from the 1986 World's Fair. 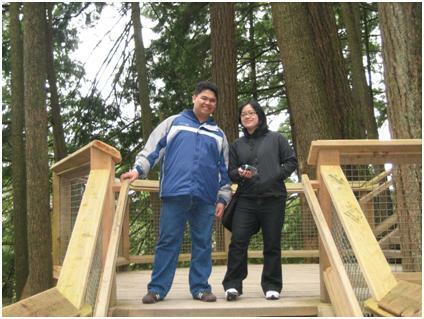 It features a huge geodesic dome structure that makes it one of the landmarks that you can easily associate with Vancouver City aside from the sails at Canada Place. 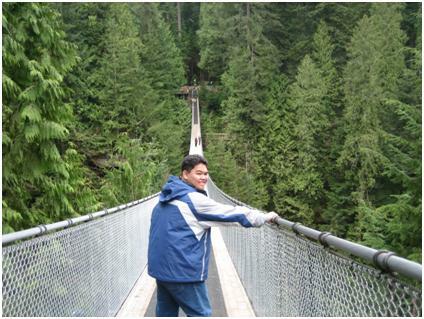 To get there you have to catch the SkyTrain and get off at the Main Street – Science World station. 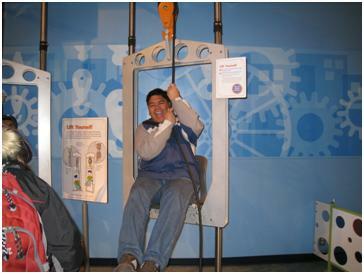 For me the exhibits and activities at Science World are for kids and for kids at heart, this reminds me of the "Museong Pambata" we have locally here in the Philippines. 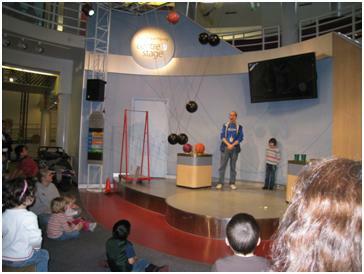 One of the things that you can do there is to watch the shows running throughout the day that discusses basic about natural and physical sciences. 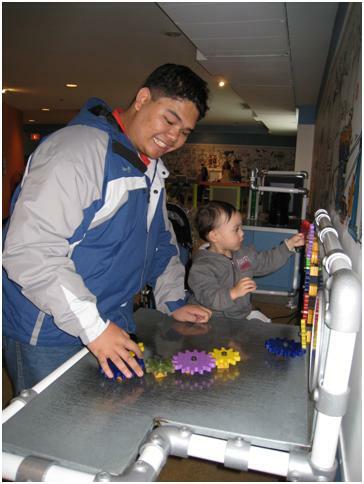 Although most of the activities are for children, but doing them as a young adult is fun too. 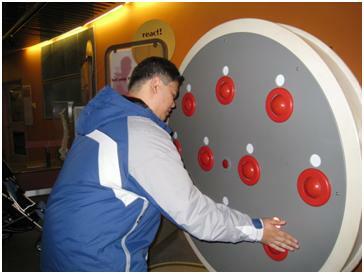 At the end of the day, I enjoyed my visit to Science World. 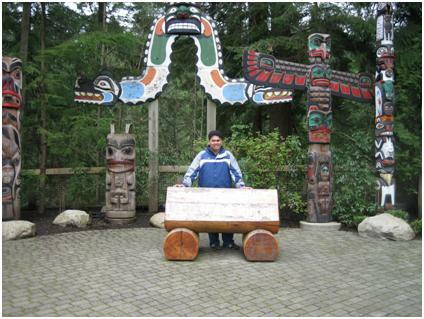 I would recommend this to families who are looking for educational fun around Vancouver.